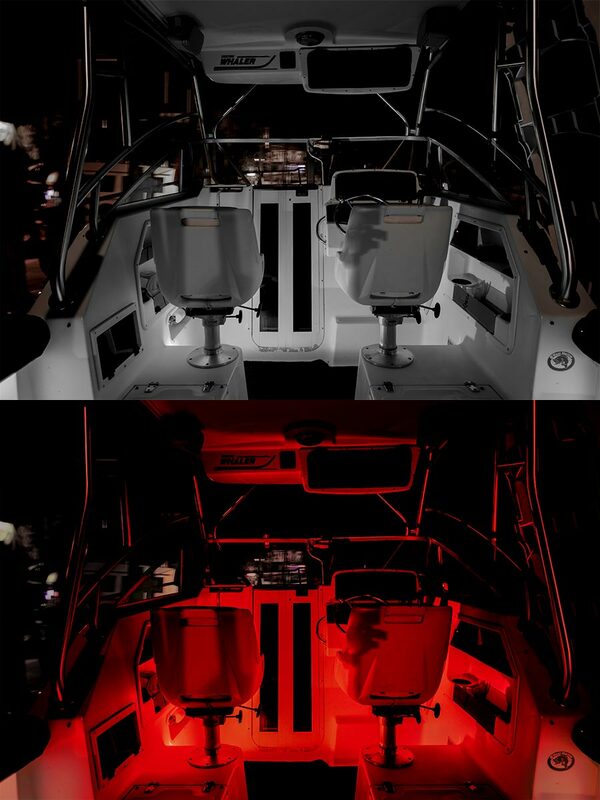 G4 LED Bulb - Dual Color - Bi-Pin LED Disc: Shown Installed On Boat In White And Red (Night Vision) Option. 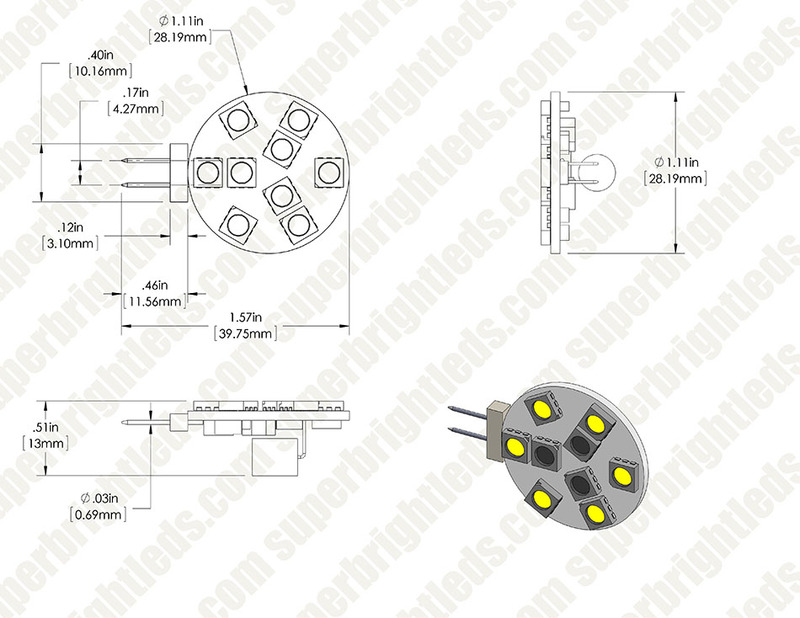 G4 LED Bulb - Dual Color - Bi-Pin LED Disc: 360° View. 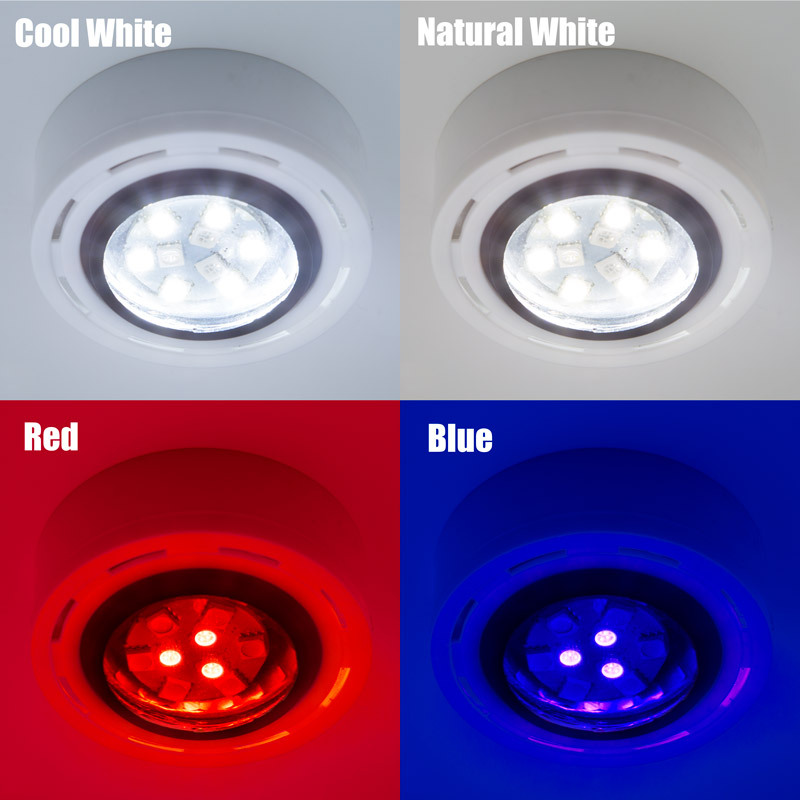 G4 LED Bulb - Dual Color - Bi-Pin LED Disc: Shown On In Red And White Version. 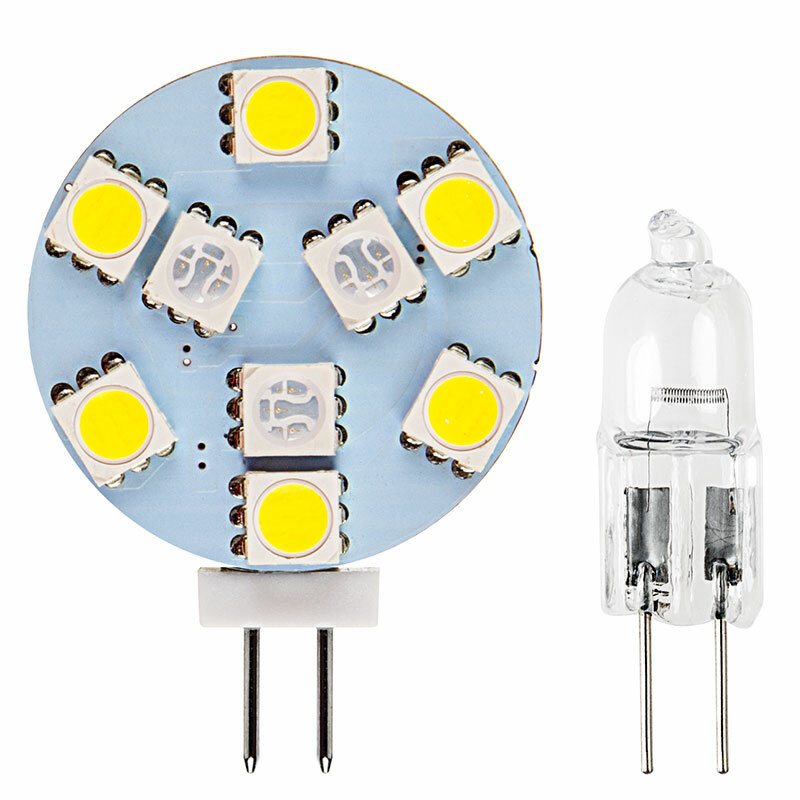 G4 LED Bulb - Dual Color - Bi-Pin LED Disc: Shown On In White And Blue Version. G4 LED Bulb - Dual Color - Bi-Pin LED Disc: Shown Installed On Boat In White And Blue (Night Vision) Option. 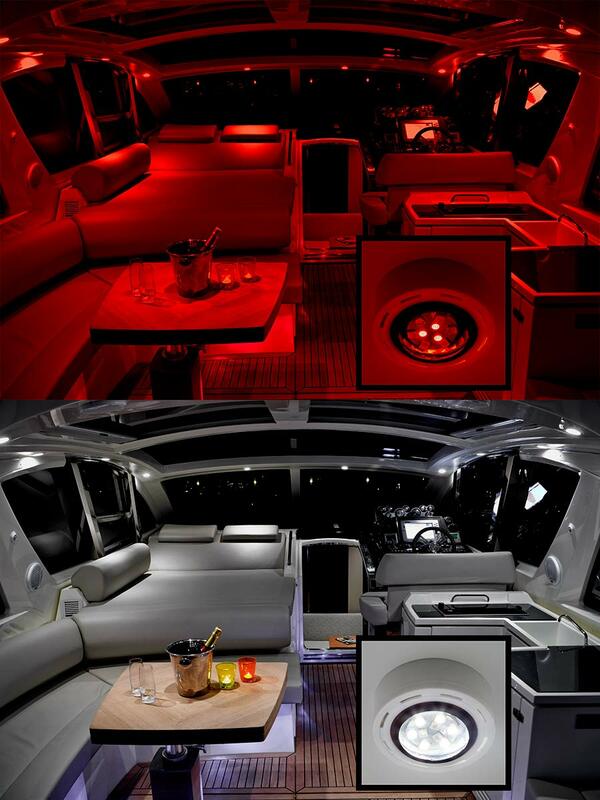 G4 LED Bulb - Dual Color - Bi-Pin LED Disc: Shown In Yacht Cabin In Red (Night Vision) And White. G4 LED Bulb - Dual Color - Bi-Pin LED Disc: Shown In Yacht Cabin In Blue (Night Vision) And White. 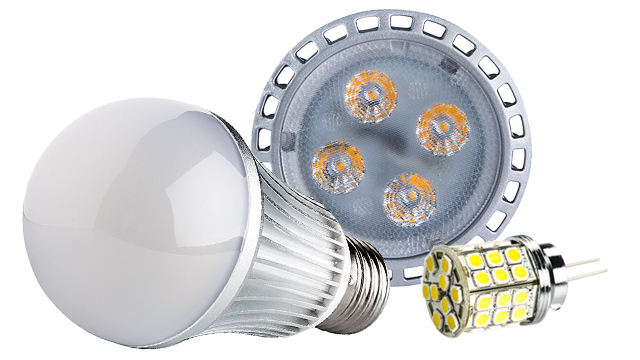 Dual-color G4 LED bulbs can fit numerous boat and RV applications such as cabin lights, cockpit lights, dome lights, ceiling lights, step lights, and wall fixtures. 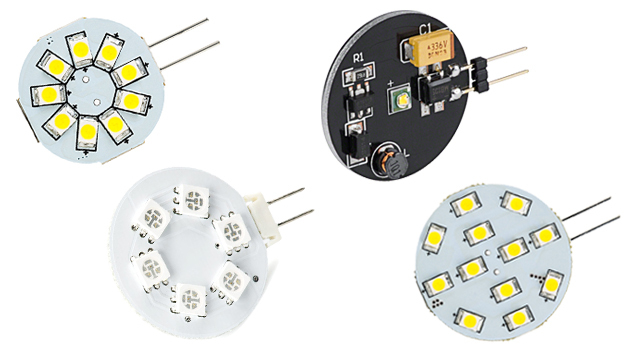 The G4 LED disc is available with 9 LEDs—6 cool white or natural white and 3 blue or red. 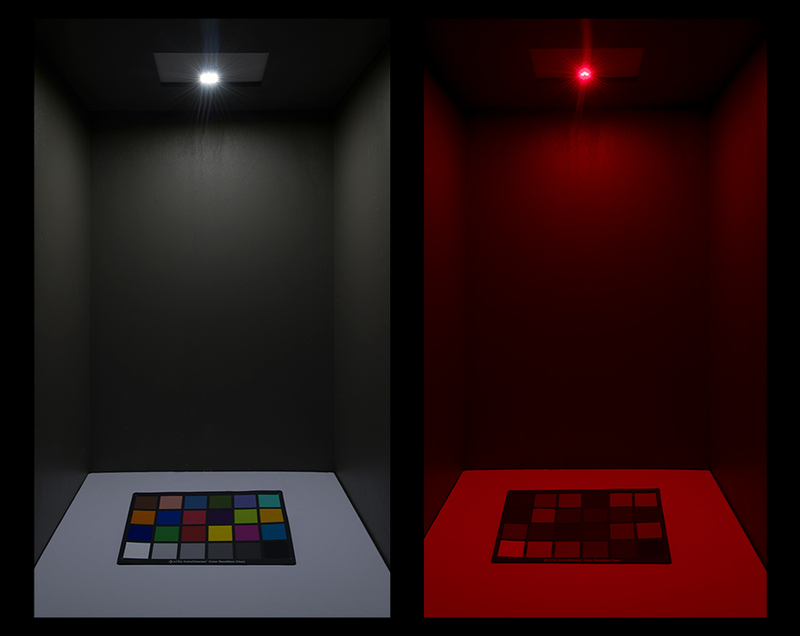 Easily alternate between white task lighting and red/blue safety lighting by using an existing switch. 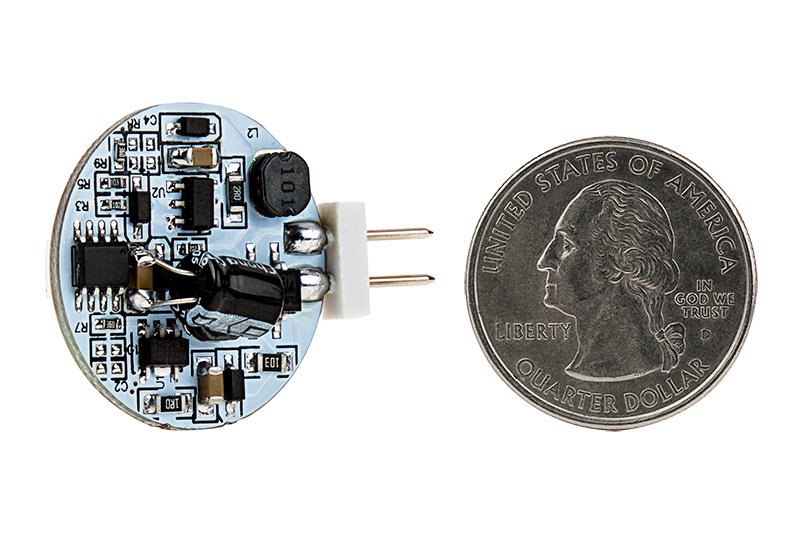 This G4 LED bulb is perfect for night vision on boat rides or can be used as a safety running light on RVs when bright white lighting is no longer necessary. 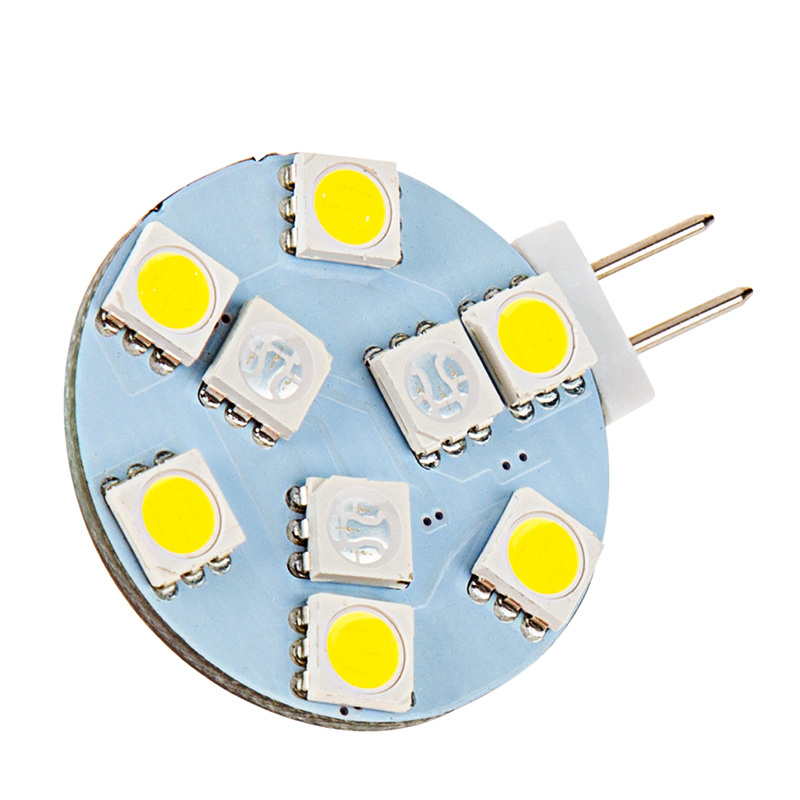 LEDs are mounted to one side of the disc for direct illumination with no wasted light. 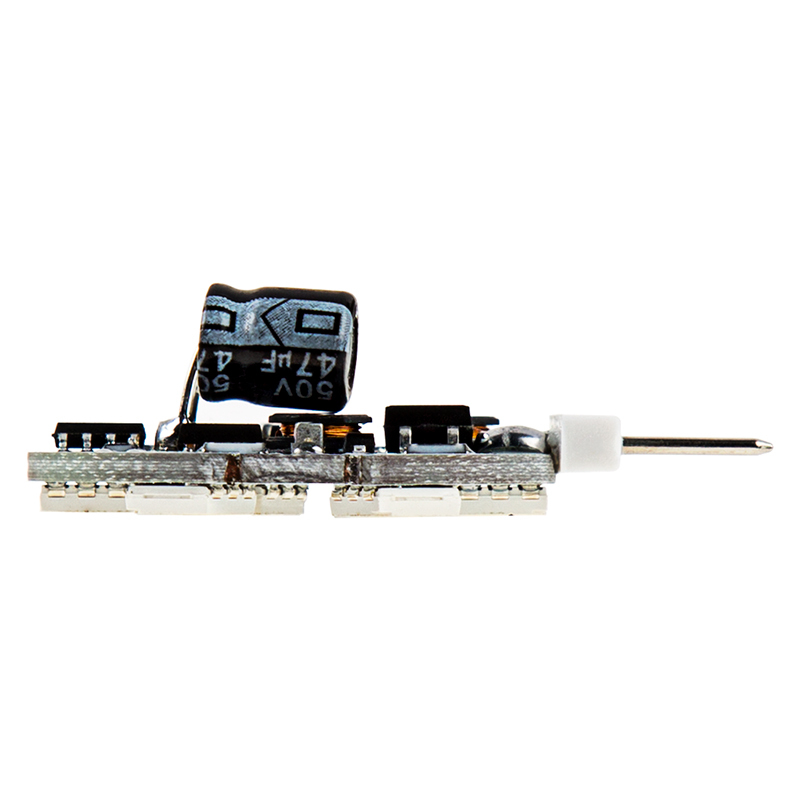 A bi-pin base allows for easy plug-and-play installation. 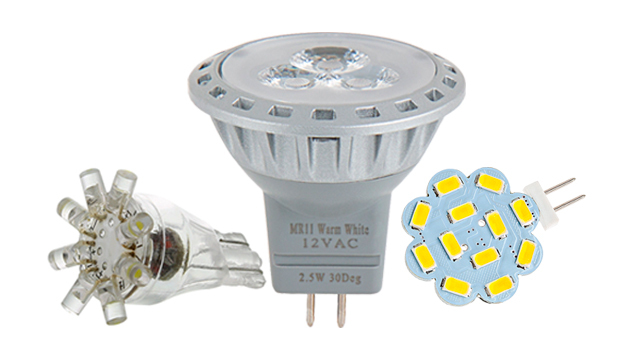 The energy-efficient bulb has 10-30 VDC or 10-18 VAC operation and is designed to last 20 times longer on your motorhome or boat than incandescent bulbs. Price per bulb. just as advertised; white is cool white, red is just enough to keep your night vision. 1st click on gets white, then off and back on gets red. This worked out great for the 2 lights under my radar arch. The blue light is just right, nit too dim and not too bright. The white light could be a little brighter, BUT still good. 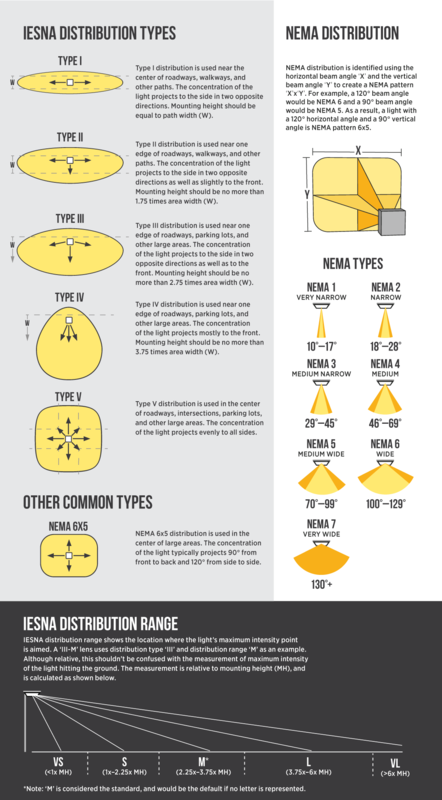 These lights are so bright they allow you to light it up do some work. You can also put them on blue to get an awesome look. A lot cooler,brighter. Love the dual color. Had a hard time putting in the pins were to large for my application. Product description doesn't mention if the white light is cool or warm and, of course, it is cool. Not attractive nor very useful as illumination for reading on our boat. Had to return. Unfortunately, a warm white version isn't available here so had to use another vendor at much greater expense.